It was a pleasant opportunity for me to work at Bapu GKV and I am really grateful to you - My Dear Students. You are the reason that we teachers exist. You teach us a lot more than what we teach you in the classrooms. However, before parting off, I would still like to give a few messages to you from whatever I have gained in my life - either through reading or my personal experiences. As Chetan Bhagat says, “The world's most funniest and easiest thing is to give an advice...” But still, I would like that you should remember the below mentioned points through out your life. Always believe in God - the supreme power and thank Him for whatever He has given to you. Respect your parents, elders and teachers. No matter how harsh they are on your face, they are your well wishers. Love your country. Try to do something for your mother land. Read books. A lot. They'll enrich your life with good thoughts, which in turn will make you a better person. Try to complete at least one book each month and share whatever you gained from it to your friends. Try to maintain a diary or a blog and write your feelings and day to day activities in it. You'll relish those memories once you are old. What's more, your children should know how their Mom and Dad used to be in their golden days. Participate in all events - be a techfests, cultural or sports. Not only in our college but also in different other colleges. This is your chance to show your talent. If you fail, you'll learn. If you succeed, it'll build up your resume. Commit yourself to all your work and finish it with a Killer Instinct. There is no joy in doing something half heartedly. I know that some things in life are boring, which you still need to do. But if you do it whole heartedly, I am sure after some time you'll enjoy the same thing. Remember what a famous criminologist said on criminals: "When men first come into contact with crime, they abhor it. If they remain in contact with crime for a time, they become accustomed to it. If they remain in contact with it long enough, they finally embrace it and become influenced by it." Always keep learning new things. The moment you stop learning, remember you are bound to fall back in the race. Being ignorant is our worst enemy. Be grateful for what you have. Many children in our own country are still deprived of the basic necessities of life. Be passionate about something. It can be anything - To obtain a gold medal, To roam around the world, Photography, Literature, Sports, Music, etc. Wake up in the morning with your dream and sleep with your dream. Never be afraid of ANYONE if you think you are RIGHT and Always be afraid of EVERYONE if you think you are WRONG. Don't argue with your elders even if you think you are right. But make your point politely. Focus your energies in constructive ideas. You are full of energy right now. Focus it in building up your career and making your parents and teachers proud. Focus your energies in building up this nation. 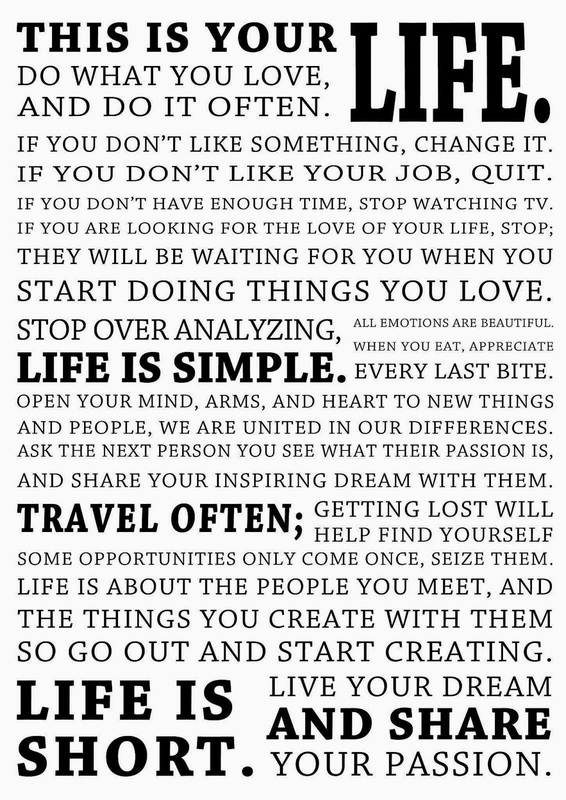 Life is Simple. Don't make it complicated. Happiness is in small, simple things. Like watching the sun in the morning, playing with a kid, helping someone or playing a sport. Take care of your family and those who care for you. Respect their feelings. Sleep less. Do not sleep more than 6-7 hours. Instead, use your time wisely. There'll be ample time to sleep once you are dead. Life is like a novel. You never know what will happen next until you turn the page. So enjoy your novel. Some pages may be filled with sorrow/disappointment, but as soon as you turn the page, you'll experience happiness. (This thought is from Sidney Sheldon's autobiography). 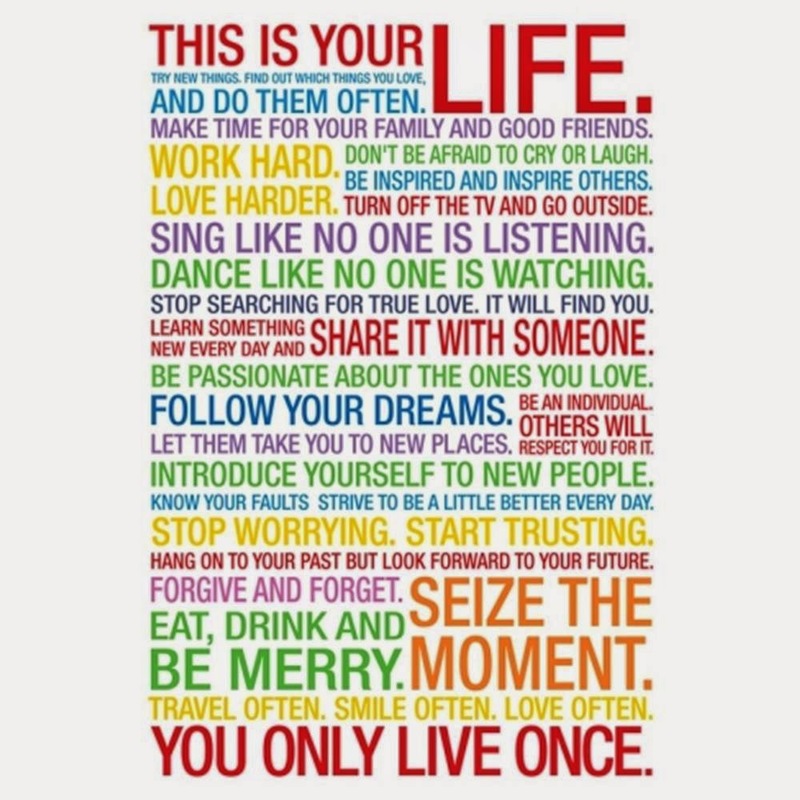 So finally, I end my piece of advice with a poster that I always kept on my desk in college.